This is the flight simulator used by KC-97 tanker pilots 60 years ago. 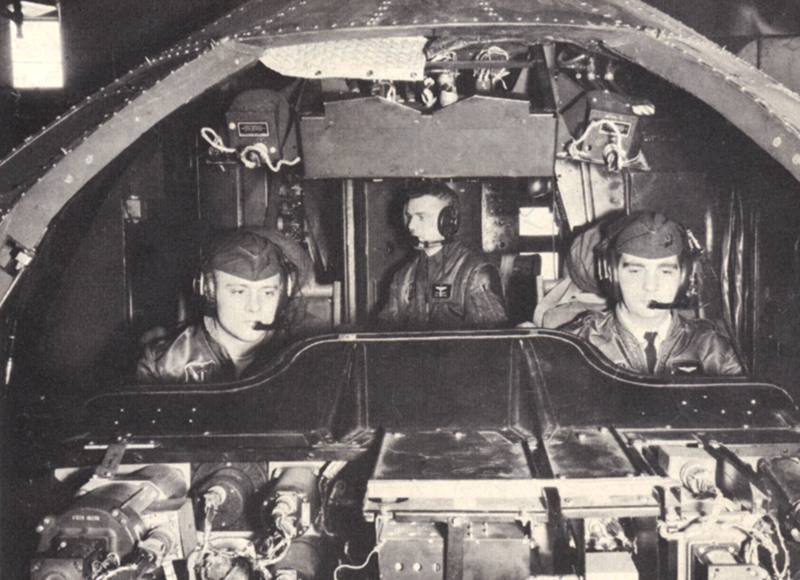 In 2012 the he 128th Air Refueling Wing of the Air National Guard published an old press release, dated around 1968 touting the latest addition to their unit, a KC-97 flight simulator! The used simulator came from the 116th Military Airlift Group out of Dobbins, Georgia that was converting from C-97Fs to C-124Cs and did not need the old Stratotanker simulator. This behemoth simulator, built in 1953 was one of eleven ever made. Prior to the 116th using it, it was training pilots at Randolph AFB, Texas and also spent time at another air base in Florida. Weighing in at nine tons and costing $850,000, the simulator took three techs to maintain and program the analog computers for each training session. The KC-97 simulator had 604 tubes, 117 motor-driven resistors, and 200 resistance cards to feed data into four computer racks. The press release states that the “power equipment around the device generates enough heat each hour to warm two small homes”. These simulators were able to replicate normal flight and emergency situations like engine fires/failures, loss of altitude, and wind buffering. Before receiving the simulator, the 128th had to send their pilots out of state for training. Having one on base would save time and money for the Air Guard unit. The 128th ARW flew KC-97s up until around 1977 when they were converted to KC-135As. In the early 90s their fleet of 135A’s were upgraded to the current airframe, KC-135Rs. The 128th still has a dedicated training simulator located on base, though now it is an all digital, full motion KC-135R simulator made by Boeing.